You’ve been hearing for years about how eating a healthier diet can help prolong your life — but there’s more. Recent studies have shown certain foods can actually contribute to brain health while others have been linked to an increased risk of Alzheimer’s disease and dementia. 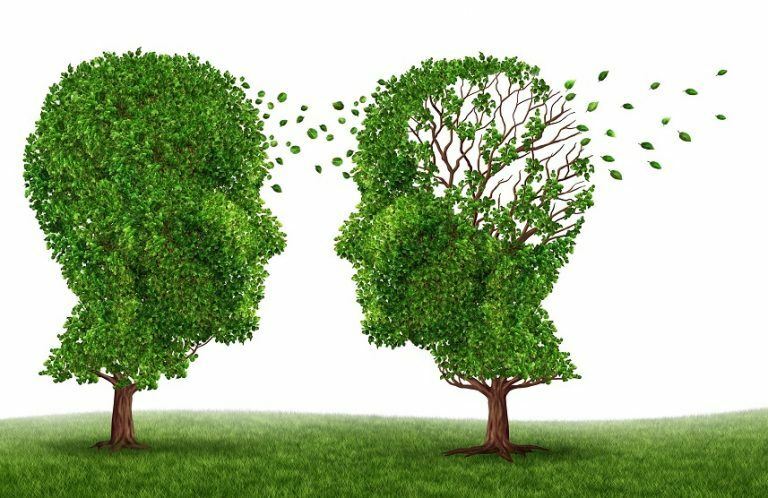 The fact is Alzheimer’s and dementia were not nearly as prevalent 50 years ago as they are today, and the modern American diet could be largely to blame. But you can fight back against this trend. By making some changes to your diet, you can keep your brain happy — and healthy — for a long time. Changing your diet can help to positively impact your brain health in the future and might even help to reverse some of the damage that’s already been done. A study published by the journal of Alzheimer’s & Dementia found that of 900 participants polled, those who followed recommended dietary recommendations and avoided known trigger foods had a level of cognitive function 7½ years younger than their biological age. Here are six foods to avoid, plus six things you can do to promote brain health. Neuropathologist Suzanne DeLaMonte is credited with coining the term “Type 3 diabetes” when referencing Alzheimer’s disease. According to her research, sugar consumption results in insulin resistance. And regularly consuming insulin-spiking foods can eventually cause brain degeneration and dementia. Yes, it’s time to put down the Cheez Whiz and back away. Any processed cheese product, including string cheese and pre-wrapped sandwich slices, contains proteins that slowly build up in the body, which have been linked to Alzheimer’s. Cheese lover? Try swapping your sandwich slices for a handful of almonds, as nuts are shown to be one of the key foods for optimal brain health. As a bonus for women, eating lots of nuts and extra virgin olive oil has also been shown to reduce your risk of breast cancer. Lunch meat, sausage, ham, and even your beloved bacon are all problematic. These smoked meats contain carcinogenic chemical compounds called nitrosamines, which help to increase shelf life. They are linked to certain cancers and have also been found to increase brain degeneration in Alzheimer’s patients. When lunchtime rolls around, consider a vegetarian entrée with a bean base or some healthy fish, such as salmon. Add some fresh veggies to make your meal a real power-packed brain-booster. Even your beloved craft brew can have a scary side effect. Like processed meat, nitrosamines, or nitrates, can be used to process beer. And what’s worse is manufacturers are not required to disclose this process on the label. Just because beer isn’t recommended for optimal brain health, it doesn’t mean you have to be a complete teetotaler. In fact, the brain-boosting MIND diet recommends you consume one glass of red wine per day. This category includes items such as white bread, white rice, pasta, and any other insulin-spiking foods. Blood sugar spikes cause inflammation in your body, which is one of the suspected causes of Alzheimer’s and dementia. Instead of a sandwich, put together a healthy salad for lunch with lots of leafy greens and chopped veggies. Top it off with some fresh berries for natural sweetness, and add a protein, such as beans or even fish. Even “healthy” whole-grain bread can cause dramatic blood sugar spikes, making it just as dangerous as white bread, bagels, and doughnuts. When you’re trying to feed your brain and prevent dementia and Alzheimer’s, it’s best to dramatically decrease the amount of carbs you’re consuming. For a filling and brain-healthy meal, try beans. Bean-based entrees are an essential part of the MIND diet, which was created specifically for promoting brain health. Those were six types of food to avoid if you want a healthy brain. Now, here are six things you can do to keep your mind happy and healthy. Researchers have studied the effects of nutrition on brain health for years now and have started to see some distinct patterns emerging. In general, these brain studies have uncovered that diets including foods, such as berries, leafy greens, and certain types of fish, are more likely to reduce your odds of developing brain-degenerative diseases, such as dementia and Alzheimer’s. When planning your weekly meals, do your best to adhere to the MIND diet, a way of eating specifically targeted toward optimizing brain health. MIND stands for Mediterranean-DASH Intervention for Neurodegenerative Delay. It takes cues from the related DASH diet and the classic Mediterranean diet. The MIND diet emphasizes leafy greens, such as spinach, generous helpings of vegetables, nuts, berries, beans, fish, poultry, olive oil, and even wine. It minimizes the incorporation of red meat, butter, sweets, and fast food or fried food. When you’re following the MIND diet, every day should include plenty of veggies, which you can enjoy raw, steamed, baked, roasted, in salads, or any way you like. The diet is more like a set of guidelines, offering tons of flexibility for you to cater to your specific preferences. If you hate spinach but you’re happy to graze the day away on Romaine lettuce, that’s completely fine. One study found people who followed the MIND diet closely minimized their risk of developing Alzheimer’s by 54%, but those who only followed it moderately saw little to no change in their risk profile. The beauty of the MIND diet is it’s not overly specific. There is no calorie counting or required meal breakdowns. Rather the recommendations break down specific servings per week of each item, so you can choose to incorporate those foods in whichever combination makes sense for you. Here’s an added bonus: Following the MIND diet might even help you lose weight, especially if you were eating lots of processed or fast food before starting it. Be very cognizant of your portions, however, because a lot of MIND-friendly foods are high in fat and calories. The good news is many recommended items, such as nuts and beans, are naturally filling, so you’ll be inclined to eat less. A little prevention can go a long way to reducing your risk for early-onset dementia. Even if you’ve eaten the foods on this list for most of your life, cutting down consumption can help reduce your risk considerably and can undo some of the damage that’s been done — just like it can when you quit smoking. Even if you’ve been eating fast food on a regular basis for a while, adopting a brain-healthy MIND diet today can help to save your brain for years to come.